Squad Analysis: Torreira in but still need a midfielder | Five to Leave? The players who have not participated in the World Cup tournament have started streaming back for the pre-season by Monday. That same Monday Sokratis Papastathopoulus was officially announced as our newest signing. Meanwhile our available players are being welcomed by a host of new faces with Emery at the head. Are they in for a culture shock? Many are going to run out of their pop corn. That we already know. Also, do we all feel the new energy that has come with the new order. There is a definite spring in our steps. I hope we are able to ride on it expertly. The end of the transfer window is five weeks away. Not a bad time to take stock and project. So far we’ve made three, no, four signings (no more bets on Torreira); Leno as brave as they come between the sticks, Lichsteiner intense and focused, Sokratis a warrior and Torreira a terrier. Be rest assured of blood and thunder before the conceding of a goal. That’s clearly the project. In a 25 player squad, we should have a minimum of two players per position. We look at how we stand with numbers. The under 21 players are asterisked. GOALKEEPERS:- Cech, Ospina, Leno, Macey and Martinez. A keeper that cost the club over £19m (Leno) is expected to be the first choice goal tender. Either Cech or Ospina has to go. Cech would fetch less money in the market but would lighten our wage bill by £100,000 per week. The job of finding a party that can inherit that wage bill wouldn’t be easy. This should decide it for the club and Ospina at £40,000 per week and with a higher market value is more likely to go. Macey goes on loan while Martinez who is home grown is made the third choice keeper. RIGHT FULL BACK:- Bellerin and Lichsteiner. The latter, on a one year deal is probably recruited as a psychological leader of the team. All skill and no fight failed us. He is welcome. LEFT FULL BACK:- Monreal, Kolasinac and Jenkinson. There is some talk of Real Sociedad being interested in Monreal. He looks like he has at least 2 more good years left in him and Kolasinac has not fully convinced defensively. Further, I can’t see Jenkinson or as yet any academy player as a viable 2nd choice back up. With restricted budget it would be best to keep Nacho while Jenkinson is sold. Third choice should always be reserved for academy players. It’s developmental and cheaper. CENTRAL DEFENCE:- Mustafi, Chambers, Holding, Papastathopoulus, Koscielny (out with injury) and Mavropanos*. That’s six players where four can suffice as Emery is not known to use a 3-man central defence. I don’t expect any more recruitment here even though Koscielny would not be registered in the first half of the season. By the time he comes back Mavro could be sent out on loan for more game experience. CENTRAL MIDFIELD THREE:- Ramsey, Xhaka, Elneny, Torreira (as good as signed) Maitland-Niles*, Reine-Adelaide* and Willock*. Seven is a good number for the engine room of three but overall they look light in experience and quality particularly with Ramsey’s proneness to injury a factor. There are so much rumours connecting us to midfielders, Steven Nzonzi, Ever Banega, Andre Gomez, Tanguy Ndombele and others. What I can sift out of it all, is that we are looking for another number for the midfield. If so there must be sales for funds. Willock could be loaned out. OFFENSIVE THREE:- Ozil, Mkhitaryan, Lacazette, Aubamayang, Welbeck, Perez, Campbell, Akpom, Iwobi, Nelson* and Nketiah*. Eleven numbers here require that some have to go. We need money to help fund an extra central midfielder. The first four names above are comparable to any four anywhere. They are untouchables. Of the rest, Emery and Arsenal’s philosophy of youth development, might see the club retaining only the three of Iwobi, Nelson and Nketiah. THE FA 17 MAXIMUM NON-HOME-GROWN PLAYER RULE:- Cech, Ospina, Leno, Macey, Lichsteiner, Monreal, Kolasinac, Mustafi, Koscielny, Sokratis, Xhaka, Elneny, Torreira, Ozil, Mkhitaryan, Lacazette, Aubamayang, Perez, Campbell. Nineteen non-home-grown players. Even without any further foreign signing two player here cannot be registered. Couple it with the need to raise funds, cut down wage bill and achieve better balance in the distribution of the numbers over different positions, it becomes clear that some players have to go. My guess is in the direction of Ospina, Jenkinson, Campbell, Perez and Welbeck in that order. This stock taking, analysis and projections has tried to take many things on board; the EPL rule on non-home-grown players, the FA wage bill restrictions, the club’s emphasis on the development of youth, the tight transfer budget for this window as well as the fact that we want to compete. With these conditions in mind what are your opinions, dear fellow Gooners? 31 Responses to Squad Analysis: Torreira in but still need a midfielder | Five to Leave? Thanks PE for a good post. I am hopeful rather than sure that Torreira will join us, unlike you. But let’s say Lucas T will indeed sign for Arsenal; that would leave us with Xhaka, Elneny, Torreira, Ramsey and AMN for the two deeper laying midfield positions, which is more than enough. The question is what Emery wants to do with the other four positions ahead of the double DM pivot. Ozil in the hole? That leaves us with the likes of Perez, Mkhi, Auba, Laca, Iwobi, Welbeck and Eddie for the three up-front. The likes of Rambo (my favourite for the hole position), Mkhi and Iwobi can be back up for Ozil. To me that sounds like a really strong squad and I have doubts that Emri is really looking for another midfielder…. unless he wants Rambo to play in the hole in which case he may want another experienced deeper laying midfielder in addition to Xhaka, Elneny and Torreira. TBC. Agreed that Ospina, Jenkinson and Campbell are likely to leave, but at least one of Perez and Welbeck will stay imo, possibly both. Apology for the error of including Matt Macey as non home grown player. He is English. TA, I agree with you that those five are enough for the double pivot roles but it might be safer, number wise, to work on the basis of a 4:3:3 ie three central mids, in which case we should be looking at 7 nos. You’re right. I still think another utility midfielder/defender in the mold of Flamini is needed when playing extra time and you have no more subs. PE, in that case you could say we have seven: Elneny, Xhaka, Torreira, Ramsey, Ozil, AMN and Iwobi. Ozil and Iwobi are not proper attackers but attacking midfielder imo. In attack we have Perez, Mkhi, Laca, Auba, Welbz and Eddie. I can see us add ANother, but it is not a priority for me. P E well resesrched and written. if we can confirm Torreira I will be haapu with the squad. I think anyone not pulling their weight in defence will get a shock this season. Another way to view the squad is that we have 28 players above.21 yrs and 6 who are under 21. Minimum of 3 of the over 21 have to be either sold or loaned out and this is without any further fresh signing. TA, Retsub …… both of you are saying basically the same thing which is that you are fine with the squad without further signings. Might be the wisest thing to do. Too many signings plus a new manager could be a recipe for disaster. PE, good post. Thorough work too. You’ve already corrected the Matt Macey error. I’d just add that neither Welbeck nor Jenkinson will be restricted by the home based rule, as implied (I accept one may have to go, mind). Also, Jenkinson is a right back, even if he’s had to play a couple of times at left back. So, it should rather be 3 (Lichsteiner, Bellerin and Jenks) at right back, leaving Monreal and Kolasinac at left back. Having got all that out of the way, I agree with much of your submissions as to who stays and who leaves. The order of likely departures cannot be faulted either. Welbeck is likely to remain as he doesn’t rock the quota calculations…unless he chooses to leave for playing time (seeing how he’s not been played enough in Russia). If we get Torreira in, any further midfield additions is a bonus. We may just consider hiring one more experienced CB though, just to help us with reliable back-up over the period when Kos is recuperating. On the other hand, it isn’t impossible one of the youngsters stakes a strong claim under a new manager – the preferred option. If we recruit any further, a winger perhaps (Pavon, Guedes, Inui?)? ….should add Gelson Martin to that small list. And I was just about to add Gelson Martins… when I scrolled down to find Eris had done so! Kinda’ quiet on that front. Though thinking it’s more to do with legalities than anything else. Good with it all. And I’ll refrain from any further indictment of Mustafi. 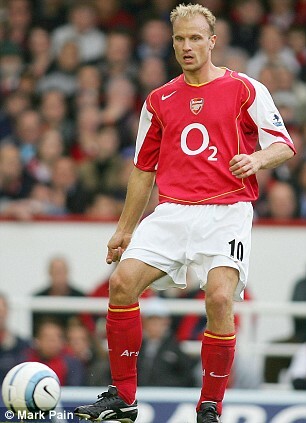 What I will point out though is he’s been at his best at Arsenal when we played 3-back. Where we had a run of good results his first season in that setup. Joachim Low also used him in a 3-back– almost exclusively– with Germany. Emery likely knows all of this better than we. Likely why we’re still in the running for Çağlar Söyüncü. Dang-it Eris. Best laid plans and all. I’d counted on ENG 2 – 1 COL to jump within 0.5 pts of you in the WC pool. And instead you get the draw– and the margin widens to 5.0 pts. A 4.5 pt swing. Been fun mostly Eris– though sometimes frustrating. The other points you scooped me on was SUI 2-1 SER. Had the draw and 3pts until Shaqiri’s late winner. Another nice piece of work PE, well done mate. Ever Banega seems set to remain in Spain, which is a shame as he looked a very accomplished player and would have been a great addition to our squad, but as he is 30 and probably with a young family and taking into account language, culture plus the wishes of his Mrs, it’s probably the best decision for his personal life. I’ll feel at lot happier when Torrieira finally signs da ting, what with his father spending so much ‘rent a quote’ time in the media. The fact that he’s never been seriously linked with anyone else makes me thing that there could be some kind of pre-contract deal etc, well I hope so. Ramsey and Reiss Nelson haven’t extended their deals yet, so there could still be some business to be concluded during this summer window? Vlad Dragomir leaving was a bit of a surprise, but maybe he is from the same school of thought as Alban Bunjaku and Fran Merida, who saw greener grass on the other side of the fence – where are they now? Big summers for Cohen Bramall (22), Chuba Akpom (22), Julio Pleguezuelo (21), Gedion Zelalem (20) and Stephy Mavididi (20), none of whom seem anywhere close to the senior squad and all must be thinking of a career away from Arsenal..? Perm 8 from Akpom, Iwobi, Chambers, Martinez, Macey, Bramall, Holding, Welbeck, Bellerin, Ramsey and Jenkinson for the 8 ‘home grown’ members of the 25 man squad. The 17 ‘foreigners’ are currently: Perez, Cech, Aubameyang, Xhaka, Monreal, Ozil, Elneny, Lacazette, Mustafi, Mkhitaryan, Kolasinac, Lichtsteiner, Ospina, Campbell, Koscielny, Sokratis and Leno. At least one of the above has to leave when Torrieira finally arrives. Everyone else, AMN, Mavro, JRA, etc are U21’s…. France to beat Uruguay in extra-time perhaps. Belgium to beat Brazil, well that’s what I want to see so we don’t have to suffer anymore Neymar antics…. Grest comments all. There is always a wiggle room for another this or that. Again let’s look at it is through the eyes of the great dictator the Bank Balance. Assuming Torreira is real, we’ve spent over £(19+17+26) = £62m plus. Inherted 4 new wages less 3 (Per, Santi, Jack). The account must be asking to be balanced particularly if we are thinking of a furthr purchase. Eris … never meant to imply Welbeck and Jenko as non home grown. Pardon, if you understood it that wáy. Let’s play with numbers on Welbecks case. Strikers:- Auba. Laca, Perez, Welbz, Akpom, Nketiah. That’s 6 nos for one position. Three have to go and my choice to stay are Auba, Laca and Nketiah. Attacking MF Three:- Ozil, Mkhi, Perez, Welbz, Iwobi, Adelaide, Nelson plus Ramsey who is available from CM. That’s 7+1. That should mean 2 from the 7. To me it’ll be 2 from Welbz, Perez, Adelaide. For more money, I’d make it Welbz and Perez. The ugly truth is that money oils the engine. I guess many would be baying for Iwobi’s blood. To me, Iwobi looks like a great player who has only one nut missing and Emery would be feeling he can provide that nut. France are the best playing team in this tournament and it would be a shame if they did not win the WC this year. But Uruguay are a beast of a machine and very hard to beat. They really are the Atletico of the WC and France are a bit the RM of the world cup. Great attacking prowess and powerful in midfield but also vulnerable at the back at times. Heart says France, head says penalties, horrible, horrible penalties. Belgium v Brazil should be a good game. Belgium have a good chance as they will be the underdog and that will suit them. But at this stage it is also about experience and leadership and the Belgians are novices at WC level and it will be very hard to beat the experienced Brazilians. I am with Kev that Neymar is a reason for wanting Belgium to win. PE, when we look at the squad we also have to think about which players actually have to have a starting position if and when fit in most of the games. We cannot have top players on the bench in most of the games as they simply will want to move on. Therefore, it is important to use the wider squad wisely and add youngsters when possible/ they are ready for it. So needing to start are: Leno, Sokratis, Mustafi, possibly Bellerin, Xhaka, Rambo, Torreira (if signed), Ozil, Laca, Auba, Mkhi, possibly Perez. If these players don’t start most games, they are likely to want to leave non-CL playing Arsenal. So how to fit them in in such a way that they can play, or do we have to let one or two go? There are two HG quotas we have to account for. One England, and two Uefa. HG players for England makes no distinction of club where the player developed in the nation. Uefa needs 4+4 in the quota. Our club grown players would be Martinez, Macey, Bellerin, Ramsey, Iwobi and Akpom. (From the Over 21 players) Not sure if Joel Campbell counts since he signed a couple of months after his 18th birthday. I thought there was some exemption for him but not sure. Likely not, and even more likely this does not matter because he will be sold. Obviously we’re not keeping both Macey and Martinez this season. Akpom will likely not have a place. Or maybe he’ll be kept for the EL group stages precisely because he meets a quota. Also, Mavropanos is over 21 and will need to be registered. Plus AMN, Nelson, Willock, Jeff, Smith-Rowe, Nketiah etc as U21 backups. All well articulated inputs and it just puts into perspective what the management has to deal with, as players jostle to impress the new man. There may be some surprise(s) too as Emery may just like Campbell’s ability to whip crosses in from both flanks; or prefer the power Welbeck brings, to Perez’s intelligent movements. He may even notice that Auba avoids putting his foot where it hurts and decide to rotate him with one of the aforementioned. Who knows? Let the man earn his keep now. Lucky guesses, jw1. Funny how the prediction game makes you hope for the result predicted rather than having “the better side win”, at times. Can be nerve wracking. I also think France v Uruguay can get to penalties with France edging it in the shootout. Brazil will decimate Belgium, without doubt. And am I the only one who thinks the angst against Neymar’s antics are misplaced? The man is one of the most fouled players on the planet (maybe because he holds on to the ball too long) and it is a known cliche that players let the refs know when they are being fouled. For instance, the last talked about incident, where he had his ankle trod upon by the Mexican full back, was not play acting. Anyone who has been at the receiving end of the studs beneath soccer boots will tell you it can be painful; and here, this fellow as ensured he felt it by putting his weight on it. Strikers generally try to get the call if contact is made on them within the area. Neymar is so lightweight and when in flight with a ball, a well applied light touch can send you flying which, to the untrained eye, will look like diving. VAR has helped to cut out the play acting but may still be subject to human sentiments. Grey areas still exist. Anyway, may the better sides win it. While at it, who else likes Lozano, the Mexico wing wizard? A. Belgium, cuz we’ll belgium, but we’ll see, as always. B. I think you’ll see house clearing at striker and youth. For the books, to clear clutter of competition that won’t seemingly take a first class place but are still there. So, Campbell, Perez, Akpom, and Jenkinson as well. C. Will he stay or will he go? I sense a very new urgency and clinical approach which is refreshing. So, IMO, whether AR stays or goes will be settled quickly I think. Shard, ….. Mavro still 20 by the start of season. I’d want more patience with Musti who’s just entering his best years. We shouldn’t forget he had a poor MF in front of him. By the way, Musti is in WhoScored team of the season! For the sake of excitment I’d want one S American, one European team qualifying today. I’d bet on the underdogs Belgium and Uruguay. World Cup of upsets. TA, … don’t know why you put the question mark on RB. That’s Mr Professional Nacho. Mkhi on the bench? Tough but then who else. Maybe he could edge Ramsey whose beginning to look as if he is running down his contract. He must be watching Jack’s fortunes very closely. Mavropanos isn’t 21 until December this year, if you are under 21 this August then you fall into the U21 category, well that’s the way I understand it. Geoff, hi. I feel strongly that Perez will stay. On the right side of attack he offers an alternative to Ozil if and when he needs a rest/ is injured. We have not got many players who can play there, and Perez seems to be appreciated by Emery. Yep, I’m with Eris, Emery may view some of our players differently to Wenger, depending on the job he’d want them to do, so yeah Total, I’d keep Perez, and Welbeck for that matter. We could go far in many of our competitions this season as Emery will be wanting some tangible success next May, also the Checkatrade Trophy will be an interesting experiment. The problem with the squad is that Campbell and Ospina is a possibility to be sold. With that we can still buy 2 players, Torreira and one more. That should complete the team necessary to compete with the top teams. The first training day video looks good. The boys looks good too to get used to the pace.